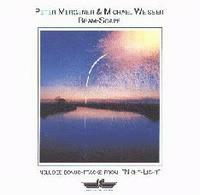 Released under the artist name "Peter Mergener & Michael Weisser"
Beam-Scape is the debut album by Michael Weisser and Peter Mergener, made before they officially adopted the group name Software. This album consists of Software's typical '80s influenced progressive new-age electronic. The tracks move very slowly, and progress in the same way: beginning drone, then asequence of arpeggios on keyboard, then a melody played on top with another keyboard, all in the presence of dreamy space sounds throughout. 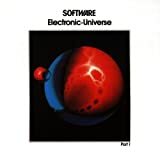 Like most of Software's later albums, this album features the new-age echo percussion, but it is only occasional (mostly present on "Timber-Wave-Reflections"). Something that I don't know of Software using on any other album is saxophone, which was a neat surprise, though it isn't really important and doesn't make the music much better ("Double-Binded-Sax"). The most energetic track on this album and the only one that follows a different progression than the other tracks, "Power-of-Independence", sounds like White Eagle- era Tangerine Dream stricken by laziness. All in all, this isn't a great album. Though this is better than most of the music that Software would release later in their career, they've still released better material than this. First official release by the Peter Mergener and Michael Weisser duo, "Beam-Scape" can be considered as a draft for the SOFTWARE albums that will follow. The ambient/electronic/new-age style of the band is already present, however the inspiration and ideas are still lacking. The compositions are mostly slow and do not feature enough changes to keep the listener's attention. The cold electronic sound is quite reminiscent of TANGERINE DREAM's "White Eagle" album. The opener "RainBow" is rather average. Its first half is ambient with various bizarre sounds, while a small sequence appears on the second half. "SunBeam" contains nice synthetic electronic loops and similitudes with KLAUS SCHULZE's 80's material. A bit monotonous, but enjoyable. Not much to say about the 15 minutes "Shooting-Star", rather lengthy and boring, and "Small-Spark", which mainly consists in a repetitive sequence. "Timber-Wave-Reflections" is a new age track, whereas the pulsing "Roots-In-Abeyance" is more lively and not bad, although it does not feature many variations. "Double-Binded-Sax" is a little messy. As its title suggests, it incorporates a saxophone but this instrument does not really add something to the ambiance. On the contrary, the ender, "Power-Of-Independence", truly stands apart the other tunes. Best track of the record, this good surprise is a nice punchy trippy tune. It proves that the band has an identity to develop. 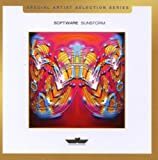 Post a review of SOFTWARE "Beam-Scape"